In a recent sling of bad news, Age of Empires Online will be closing shop in 2014. "I announced in January of this year that AOEO had entered its support phase, meaning that no new content would be added to the game. Then, last month, we mentioned in the forums that AOEO had an end date. That information should have come clearly from me, with a clear and specific itemization of what that means to you, the players. So let’s fix that. 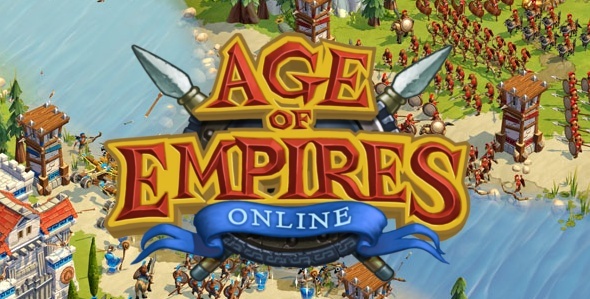 Age of Empires Online will close on July 1, 2014. On that day, the service will cease to function, and no further games can be played. The servers will be taken offline, and no features of the game or the game service will work without the... Read All In a recent sling of bad news, Age of Empires Online will be closing shop in 2014. Age of Empires Online will close on July 1, 2014. On that day, the service will cease to function, and no further games can be played. The servers will be taken offline, and no features of the game or the game service will work without the servers. Until that date, the game will continue to fully function just as it does now. You can quest, raid, chat and trade as much as you like until then." Age of Empires Online was a freemium MMO-ish RTS I quite liked. Whereas I didn't pay for any of its content, it existed in the void Age of Empires II left when you could no longer play it on modern hardware. As Age of Empires II HD was released on Steam, my time on Age of Empires Online evaporated. That said, the Age of Empires Online experience was quite good and it's a shame it's going away. The wasn't perfect though as the game UI was often confusing and figuring out what zone to go do to do stuff wasn't intuitive. The game suffered from some lag issues from time to time when I played it and I never really saw the incentive to advance my in game MMO level. It was also tied to Games for Windows Live which required way too many steps to get working in a sane manner. That said, the actual in game RTS aspect of the game was a love letter to the original Age of Empires and it worked great. What I wish Age of Empires Online was, was the basic Age of Empires gameplay with modern graphics ported to modern systems without the MMO bits. In the end, Age of Empires II HD gave me what I wanted so Age of Empires Online fell between the cracks. That said, it's sad to see this game go and I hope Microsoft can rip out the core gameplay bits and release it as a standalone product that doesn't require you to be always online. It's also worth noting that because of it's freemium nature a popular way to unlock more races an in game items was by paying for them. So what do people that love this game have to show for the time and effort they put into it? It's not an awesome prospect to consider. That said its not all bad news and dead Unicorns as if you already have an Age of Empires Online account, you will get a bit of a bonus for the remaining time the game has left on this earth. "All purchases have been disabled. This means that you cannot buy more Empire Points, which is the way you pay for additional content, like new civilizations. You can still earn EP through regular gameplay, just like always, and the stores still function normally, to buy civilizations, vanity items, consumables and more. But you cannot spend real money on more EP. That creates a problem for some of the newest players, however. If you have just started to play AOEO, but not bought any EP, you may be ‘stuck’ in that it will take a long time to build up enough EP to buy a premium civilization. To help all the newest players, as well as give a gift of thanks to our grizzled veterans, on Tuesday, September 17, we will grant 1000 EP to all existing players. This is enough to purchase a full civilization, with a little left over for some fun. That should be a sufficient boost to let new players jump into the game fully and earn more EP over the next several months." After playing Age of Empires Online recently I have noticed many updates that streamlines the experience and makes things simpler. There are more races to play as and its not hard to buy them or gain points to get them for free. Age of Empires Online keeps all the stuff you love from the Age of Empires 2 core gameplay with a very beautiful graphics overhaul, which is worth the price of admission alone. After the recent set of core upgrades to the gameplay I think giving this game another shot is well worth your time. I played Age of Empires Online when it launched a year ago but it didn't stick with me. At PAX this year someone handed me an Age of Empires Online card and recently redeemed it on Steam and gave the game another go. Before I had to download the game through Games for Windows Live but it is now all managed through Steam. You need a Games for Windows Live account but if you already have an XBox account that may work as well. I encourage you give Age of Empires Online a shot because the game is very fun. They recently released an update that fixes some gripes people had with the game at launch. The game has since adopted a model similar to League of Legends in that you... Read All I played Age of Empires Online when it launched a year ago but it didn't stick with me. At PAX this year someone handed me an Age of Empires Online card and recently redeemed it on Steam and gave the game another go. Before I had to download the game through Games for Windows Live but it is now all managed through Steam. You need a Games for Windows Live account but if you already have an XBox account that may work as well. I encourage you give Age of Empires Online a shot because the game is very fun. They recently released an update that fixes some gripes people had with the game at launch. The game has since adopted a model similar to League of Legends in that you can outright buy Empire Points to get the later Civilizations OR you can do things in game to earn Empire points. Age of Empires Online has a very unique stylized art style. It can also run on older hardware which is nice for some with older gaming rigs. As I played the game I noticed the game feels much more at home with Age of Empires 2 than any of the latter games. After reading more about it, the developers modeled Age of Empires Online after Age 2, which is a great homage to the classic play style. It sounds odd that a MMORTS would even work at all, but they pulled it off very well. I am only level 6 and there are tons of quests still to complete and things in the game I haven't yet tried. The early level quests are things like, "build a few farms" and "go kill some bandits" but then the game opens up and soon enough you are tasked with dispatching the enemy in the typical Age of Empires fashion to gold and xp. The game offers 1v1 and 2v2 PvP after you hit a certain level. You can also go into Skirmish modes and try your hand with all flavor of bots or play co-op with friends. Let me know what you think of the game and if enough people are interested, it might be fun to play it some night together!